London. April 2013. The days are wondrous and enchanting even under England’s moody skies, communing in a lazy haze, days with a friend, hands in my khaki pants, wondering the wondering. London was wonderful and words fail me each time I remember. I would like to write something – of days spent in the company of kindred souls, relishing the warm comfort of similarly vulnerable members of my writer-tribe. And I met the poet Afam Akeh. Akeh came from somewhere in England, Oxford I think it was, to grace the panel of writers honoring the works of our friends. He came, spoke, hung out with us for a little while, and disappeared into the gloomy English night. Just like that. I have pictures. Afam Akeh? Who is Akeh? How do I explain Akeh? Well, Akeh is in my view, one of the finest writers, definitely one of the most important poets to come out of Africa in contemporary times. If he is relatively unknown, it is because he and many in that army of writers coming after Professor Niyi Osundare’s generation are notoriously reticent about the limelight. Akeh is elusive, perhaps reclusive, definitely enigmatic. I think of him and strangely each time, Christopher Okigbo comes to mind. Which is interesting, because as poets, they are very different – in attitude, temperament and perhaps vision. Where Okigbo’s verse is opaque and beautiful, Akeh’s is transparent and beautiful, their verses united primarily by degrees of obliqueness. Akeh is different from Okigbo in one important sense; his verses allow you to own them personally, and he is generous enough to e-smile indulgently when you claim them as your own. But I think of both Okigbo and Akeh as master wordsmiths, fastidious almost to a fault. I think of them as master gardeners, tending a postcard-perfect garden, each flower in its right place, a snip here, a touch there, nothing goes to the market until it is perfect. And because the master gardener is rarely satisfied, the market is starved of the genius of prodigy. One can never get enough of Akeh’s verse, and his latest volume of poetry, Letter Home & Biafran Nights proves that beautifully. Letter Home & Biafran Nights was longlisted for the 2013 NLNG Prize in literature (poetry) First things first though: This reader must stop to congratulate the NLNG Prize folks for compiling a most thoughtful 2013 longlist: Afam Akeh, Amatoritsero Ede, G’ebinyo Egbewo, Iquo Eke, Obari Gamba, Tade Ipadeola, Okinba Launko (Femi Osofisan), Amu Nnadi, Obi Nwakanma, Promise Ogochukwu and Remi Raji. It was a great list with pretty much everyone a strong contender. Although, Tade Ipadeola, Amu Nnadi and Promise Ogochukwu ended up on the shortlist, it is actually the case that many on the list deserve the prize and our eternal gratitude for a lifetime of meritorious work in the service of literature. Outside of the legendary Femi Osofisan, I am thinking of Afam Akeh, Remi Raji, Amatoritsero Ede, Tade Ipadeola, Obi Nwakanma, virtually all of them in the 35 to 50s age range who have distinguished themselves through consistent output and outstanding leadership in the digital age, an era when the book has come under fierce competition thanks to new and muscular digital tools that have democratized the reading and writing culture. The 2013 NLNG longlist was an unintended gentle nod to that quiet group of folks, most of whom started out in the Krazitivity listserv in the early 2000s, and set out to fashion a way of telling our stories in the new dispensation. There are too many names to mention, but I am thinking of passionate digital literary warriors like Molara Wood, Olu Oguibe, Obiwu Iwuanyanwu, Lola Shoneyin, Toni Kan, Victor Ekpuk, Chika Unigwe, Victor Ehikhamenor, Obododimma Oha, Chuma Nwokolo, Sola Osofisan, Abdul Mahmud (Obemata), Nnorom Azuonye, Chuma Nwokolo, etc. In those days they hosted and participated in online poetry workshops and many listservs were fierce places to be in as a writer. If I had the money, I would give each one of them a $100,000 prize for their service, they are still here, quietly influential in the background, and still devoting hours daily to the written word and the visual arts. I don’t often agree with many of them, but they have all earned my respect. I salute every one of them. So, yes, this group of writers came right after Niyi Osundare’s generation. They had to deal with the new dispensation called the Internet. They had to bring Nigerian literature into the new medium. Quietly, they fought (many times each other) brainstormed, dreamed, and built new houses for our stories. They labored quietly in the shadows, they did not have time to worry about writing books. Occasionally they would write their own, and it would be published in some obscure and often prestigious journal. But they were the new priests, working to give others succor and to build up the work of others. Many of them are aging now, and the world is just now coming around to give them their dues. It is awesome that this year, Nigeria’s increasingly prestigious NLNG Prize for literature unwittingly acknowledged their influence and industry by including several of them in the NLNG long-list. It bears repeating: Each of these writers and many more of their generation deserves the prize and more – not just for their books, but for a lifetime of selfless dedication to the cause of world literature. These are unsung giants toiling quietly and with great determination in the shadows of lesser – and noisier mortals. I salute them all. 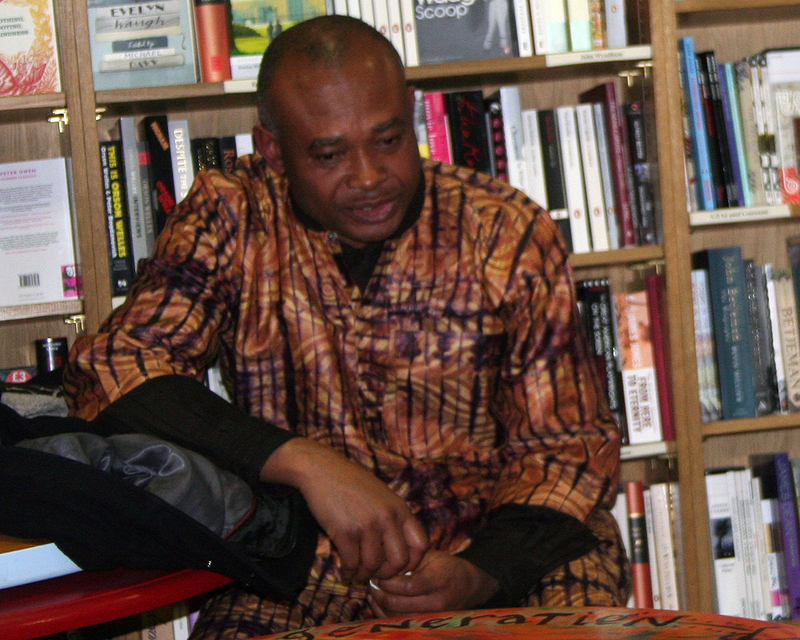 So, Akeh was longlisted for his new work, Letter Home & Biafran Nights. I will say it again: Akeh’s generation will not be judged by their books, they will be judged by their immense contribution in harnessing the digital world and bringing the African writer to the reader, managing the morphing and blurring of roles between reader and writer and creating a new genre of literature in the call-and-response mode of our ancestors, bringing the reader to the writer, and the writer to the reader. Under their fearless leadership, the writer is gradually metamorphosing from the sage on the stage to the guide on the side of the reader. It is a beautiful new world, thanks to these visionaries. 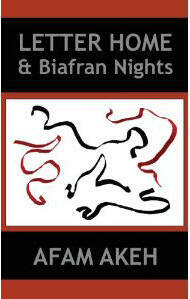 Now, dear reader, you must read Letter Home & Biafran Nights. This is not your mother’s poetry; this is not postcolonial poetry as we remember it. Here is a journey – of man and movement, a restlessness even when one is still. The pages hum with energy, longing, alienation, and a certain triumph of spirit. There are warriors everywhere, not victims. All through one’s tribulations, even in the throes of the Sokugo’s suffocating grip, thoughts of home are never too far away. Ah. When I am stressed, good poetry will comfort me. Akeh is great poetry. That is as it should be. In the 21st century, more than ever, the reader is not an expert on poetry, does not want to be, the reader simply wants to enjoy a good word or two. Letter Home & Biafran Nights does the job and more. You read Akeh’s profound words, and you own them, but still, it is not about you. It is about the movement called this life. And somehow Akeh manages to remind you of Achebe’s Things Fall Apart, of Uchendu, Okonkwo’s maternal uncle comforting Okonkwo in the chilly winter of his exile (in this memorable passage). a grave in the open earth. The long poem, Letter Home, comprising four movements is the immigrant’s story. Any immigrant, especially of color, could title it ME and it would fit snuggly. And they turned hostile lands. Their present sense had faded into past. Now, this is poetry: In general, each movement of Akeh’s poetry starts as a quiet spiritual chant, grows into a grumble and a rumble, and in the last gasp, it roars and fills the mind’s stadium with wonder – and longing. In the poem, At the Common Room, you lay on pretty lines like this: Someone asleep/ with open eyes lets his bowels speak. And the sighs tumble out of your soul. There are nights that speak with clenched teeth. The book’s end signals the beginning of the loss of a certain innocence. Biafra. 1970. The poem. 1970. Ripe, bursting with hope and joy. Birth and death colliding, waves of white noise. I love Letter Home & Biafran Nights, even with all its imperfections. And there are several. First of all, it is unconscionable that the book is not available as an e-copy, how difficult can that be in the 21st century? African publishers have to understand that in the absence of physical distribution channels, their best bet is the Internet. Akeh struggles with his own spirituality, the church is on his mind and one suspects that sometimes his poetry is inspired – and compromised by his near-unquestioning allegiance to his Christian faith, for example, Messiah, is quite simply proselytizing – and disappointing. (p 46) Akeh tries gamely to wrestle his faith from his work as a writer, he is not successful. In No More Elliot, She Said, great lines remind the reader of Okigbo’s deeply spiritual lines but then they wrestle with Akeh’s own struggle with his Christian faith, awesome lines looking askance at sermons begging to be preached. (p 48) I don’t believe the poet should proselytize. Akeh’s demons sing lustily with his long poems; some of the short pieces (Portrait, Slug, etc.) read like warm-up acts for the long pieces, they feel to me like works in earnest progress, not quite ready for prime time. Billy Boy is quite literally for the dogs, and not in a good way (p 50). Silly Poem, is just that, silly (p 58). And I would have loved a publication that looked a lot better than it was merely stapled together. SPM Publications stapled Akeh’s pieces together and did a great job with the editing. However, this reader expected more, perhaps a collaboration with an artist to sketch in pencil, Akeh’s thoughts, and bring the words to life even more, if that is possible. The good news is that the power of Akeh’s words easily trumped these failings. It is quaint. No one writes letters home anymore. Oddly intriguing, the choice of title. But that would be Akeh for you. Intensely private, the reader strains to read pieces of Akeh’s life in the pages. The evidence is scrawny, but you read Role Play (p 37) and you wonder about a little boy with a certain intelligence and just wonder, who is this boy? And Akeh’s indulgent e-smile returns. And my favorite poem? Ingrid. Don’t ask me, you must go find that poem. And read it. It is in the book. Buy the book and read Ingrid. Thank me later. This feels like music to the ear! I lend my ear to the wind and words take flight. Thank you for your generousity, we shall go in search of Ingrid. @Pa Ikhide, so you entered London silently like a thief in the night and did not even visit Buckingham Palace to hail the queen? Didn’t you know that some readers would have like to see you? You did not appear on the black TV stations like BEN TV, OHTV, Klear TV, Voxafrica, ABN and TVC News. Please, don’t do that again. Expand your horizon. Maybe I should open a PR firm. Hehehe!